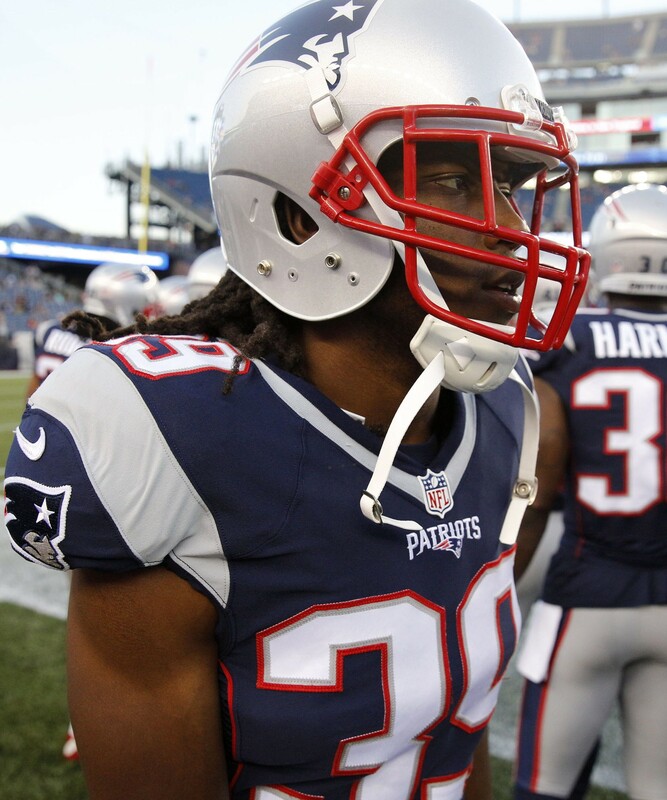 The Patriots have released cornerback E.J. Biggers, a source tells Ian Rapoport of NFL.com (on Twitter). Biggers signed a one-year, minimum salary benefit contract with the Pats in March. The deal featured just $25K in guaranteed money, in the form of a signing bonus. Biggers, 28, spent three seasons in Tampa Bay and two in Washington before joining the Eagles for the 2015 campaign. Outside of the 2012 season, when he started 12 games for the Bucs, he has been a part-time contributor for most of his NFL career, playing in nickel or dime packages on defense and contributing on special teams as well. In 2015, he recorded 39 tackles and seven passes defended. Biggers was expected to serve as one of the Pats’ primary backups for corners Malcolm Butler and Logan Ryan. Instead, the Pats will use second-round pick Cyrus Jones as the first cornerback off of the bench. Justin Coleman, Jonathan Jones, and Darryl Roberts are jostling for spots on the roster behind Jones and their odds all just improved today. The Patriots have added some secondary depth, signing cornerback E.J. Biggers to a contract, league sources tell Ben Volin of The Boston Globe. Biggers will get a one-year, minimum salary benefit contract that features just $25K in guaranteed money, in the form of a signing bonus. He’ll also be in line for up to $30K in per-game roster bonuses, plus a $25K roster bonus for reporting to training camp. New England’s cornerback group looks mostly the same in 2016 as it did in 2015, but Tarell Brown is one player eligible for free agency. Brown played 162 defensive snaps for the club last season, so Biggers will be a top candidate to take over those snaps going forward. 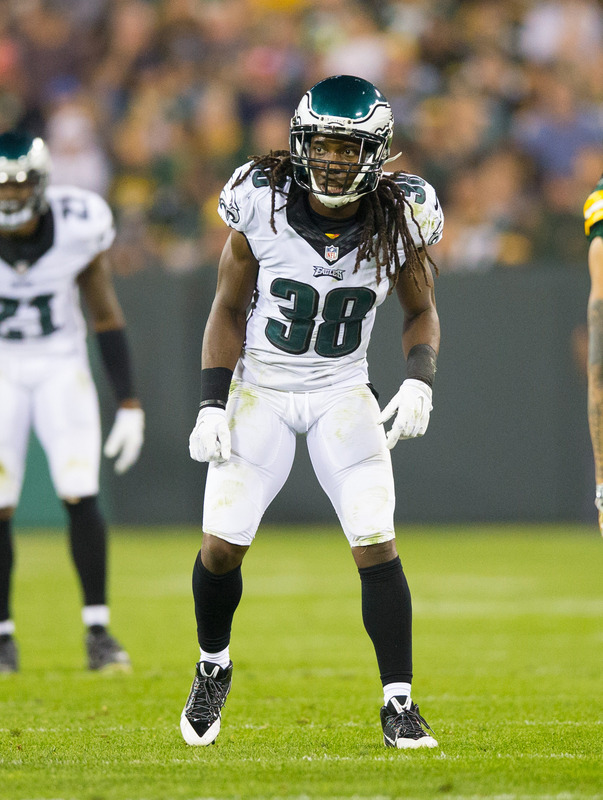 The Eagles have agreed to terms on a one-year deal with cornerback E.J. Biggers, according to Rand Getlin of Yahoo! Sports (via Twitter). Pro Football Talk reported earlier today that Biggers was paying a visit to Philadelphia. The team has since confirmed the signing (via Twitter). Biggers, who will turn 28 in June, has spent his five-year NFL career in Tampa Bay and Washington, playing 76 overall regular season games, including 31 starts. Although he has experience at both cornerback and safety, Biggers primarily played corner in 2014, recording 32 tackles and four passes defended in 465 defensive snaps. He also occasionally contributed on special teams. Having made a major splash at the start of free agency by landing Byron Maxwell, arguably the top cornerback on the market, the Eagles have continued to fortify the position since then. The club also signed Walter Thurmond in addition to Biggers. The Eagles also signed wide receiver and special teamer Seyi Ajirotutu to a one-year contract today, according to the club. Ajirotutu, who has spent four of his five NFL seasons with the Chargers, only has 24 career receptions, but the 27-year-old has been a key contributor on special teams in San Diego — in 2014, he had 14 tackles in kick and punt coverage, per Pro Football Focus (subscription required). So far this offseason, one noteworthy free agent – wide receiver Percy Harvin – has moved from the Jets to the Bills, following Rex Ryan to Buffalo. Now, Ryan and the Bills are considering bringing in another player who played in New York a year ago. According to Rand Getlin of Yahoo! Sports (via Twitter), former Jets safety Dawan Landry is paying a visit to Buffalo. The Jets don’t appear to have any interest in retaining Landry, but Pro Football Focus (subscription required) was fond of his 2014 performance, grading him as a top-10 safety in the NFL. We’ll have to see if the Bills have a spot for him in a secondary that has lost Jairus Byrd and Da’Norris Searcy in the last two offseasons. As the Eagles eye potential defensive backs, they’ll bring in former Washington cornerback E.J. Biggers for a visit today, according to Pro Football Talk (via Twitter). Biggers, who spent three seasons in Tampa Bay prior to his time in D.C., also has some experience at safety, a position of need for Philadelphia. James Walker of ESPN.com wonders if Josh Freeman has a chance to unseat Matt Moore as the Dolphins‘ No. 2 quarterback. As Aaron Wilson of the Baltimore Sun tweeted this morning, Freeman’s deal with Miami is a minimum salary pact with no guaranteed money, so it’s not as if the team has much invested in him. Richie Incognito is grateful to the Bills for giving him a second chance in the NFL, and told reporters on Monday that there were times when he didn’t think he’d have the opportunity to continue his playing career (Associated Press link via USA Today). Referring to the atmosphere at the Bills‘ facility, LeSean McCoy said there’s “more of a NFL type of feel,” as opposed to the “college feel” he’d experienced in Philadelphia during the last couple seasons, writes Gregg Rosenthal of NFL.com. The veteran running back also made some comments about Eagles head coach Chip Kelly yesterday. Ravens defensive end Chris Canty isn’t too worried about the NFL ban on “non-standard and overbuilt face masks,” writes Aaron Wilson of The Baltimore Sun. Canty is required to wear a special facemask following a 2005 bar fight that resulted in a detached retina. The veteran will be allowed to apply for medical approval to wear “The Big Grille” (as it’s affectionately called). “Not sure what the memo or new policy is, but it’s simple for me,” Canty said. “No eye shield and custom mask means I can’t play. Eye would be at risk. Redskins wideout Andre Roberts told SiriusXM NFL Radio (via Twitter) that his decision to sign with Washington may have been different had he known DeSean Jackson was going to be on the team. Rich Tandler and Tarik El-Bashir of CSNWashington.com examined whether the Redskins would carry a fullback on their 53-man roster. Tandler writes that incumbent Darrel Young could be left off, being replaced by tight ends Logan Paulsen and Niles Paul. El-Bashir has a tough time seeing Young not making the roster, especially considering his role in Alfred Morris‘s success. Mike Jones of The Washington Post isn’t very confident in the Redskins secondary. The team has question marks at cornerback beyond DeAngelo Hall and David Amerson, with Tracy Porter and E.J. Biggers competing for the nickel back spot. At safety, the team has Brandon Meriweather and Ryan Clark playing on one-year deals, and the writer isn’t too optimistic about the young options behind them. SATURDAY, 1:51am: Biggers’ one-year deal is reportedly worth $730,000 in base salary and $65,000 in signing bonus, writes John Keim of ESPN (via Twitter). Only the signing bonus is guaranteed. 10:24am: It’s a one-year deal for Biggers, tweets Mike Jones of the Washington Post. 10:15am: The Redskins have re-signed defensive back E.J. Biggers, according to Pro Football Talk (via Twitter). Biggers had been an unrestricted free agent following his first season in Washington. Since entering the league as a seventh-round pick in 2009, Biggers has appeared in 61 overall contests (29 starts) for the Buccaneers and Redskins. His best season came in 2012 as a starter in Tampa, when he forced a pair of fumbles, grabbed an interception, recorded a sack, and logged 48 tackles to go along with a +3.8 grade from Pro Football Focus (subscription required). As his performance last year showed, Biggers probably shouldn’t be relied upon for more than a reserve role on defense, but as a veteran who can also contribute on special teams, the 26-year-old should be a decent depth piece for the Redskins in 2014. A source tells Rand Gatlin of Yahoo! Sports (Twitter link) that the 49ers are mulling the possibility of reworking Joe Staley‘s current contract, which he has outplayed. Staley, who will earn a total of $3.4MM in 2014, has a deal that runs through 2017, so he doesn’t have a whole lot of leverage at this point, but Gatlin’s source suggest the Niners recognize they’d be wise to address the situation to avoid having the offensive lineman become disenchanted (Twitter link). Ben Volin and Christopher Gasper of the Boston Globe pass along the details of the first year of Vince Wilfork‘s new contract with the Patriots in a pair of Twitter links. According to the Globe duo, the contract includes $2.5MM in signing bonus and base salary money, a $300K weight bonus, a $200K workout bonus, a $500K bonus for spending one game on the 53-man roster, up to $1.4MM in per-game roster bonuses, and additional incentives of about $3MM. In total, by my calculations, the team should create at least $3MM in 2014 cap savings with the move. The Eagles recently restructured the contract for wide receiver Brad Smith, tweets Adam Caplan of ESPN.com. According to Caplan, the agreement reduced Smith’s cap number by $350K, but assured him $450K in guaranteed money. E.J. Biggers‘ new one-year contract with the Redskins is a minimum salary benefit deal, according to Aaron Wilson of the Baltimore Sun (via Twitter). The pact includes a base salary of $730K, a signing bonus of $65K, and a cap hit of $635K.